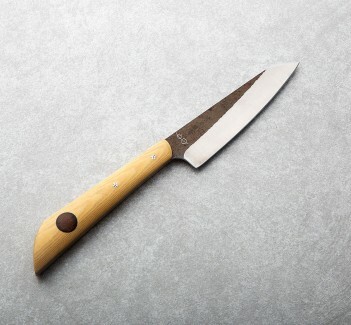 A razor-sharp profile perfect for detail work, this lightweight, handcrafted stainless steel paring knife with satin finish from Don Carlos Andrade is built for daily use and boasts Don's typical, superb convex blade geometry and balance. Thin and lightweight, made using partial-tang construction with a wa style handle made from old-growth cocobolo and rare Arkansas Chittim wood, the blade measures a full 4" (101mm), making it a small knife that can take on a range of tasks. A cloth-covered protective case is included. A stunning example of Don Carlos Andrade's ability to combine form and function through thoughtful material selection and uncompromising craftsmanship, even in a small and lightweight package that doesn't break the bank. 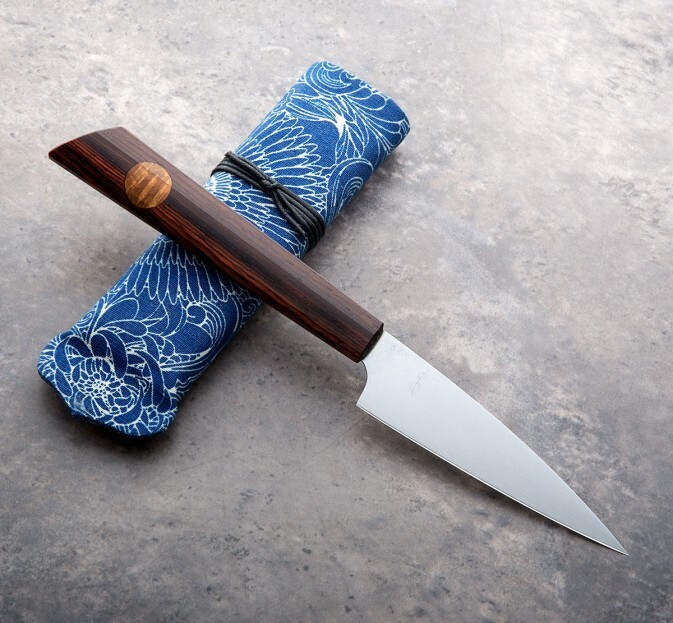 A focus on blade geometry for daily use, informed by his years as a formally trained chef and decades practicing and teaching art and bladesmithing, Don delivers a stunning all-around utility knife in this Cocobolo & Chittim Stainless Paring Knife. 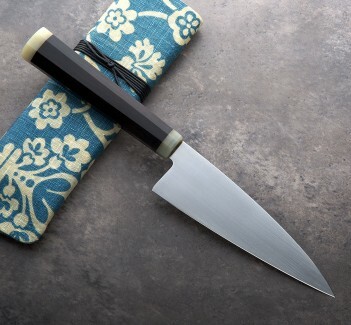 Blade length: 101mm / 4". Overall length: 9.25". Blade width at heel: 2.3mm. 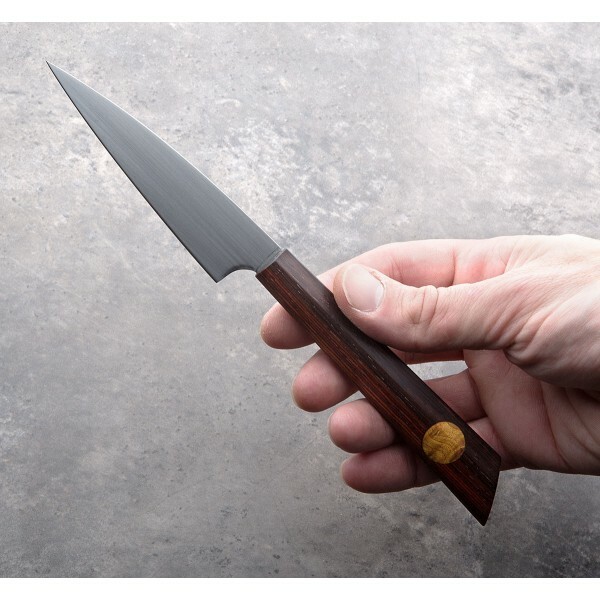 Blade height at heel: 26mm. Weight: 1.8oz / 40g. AEBL high-performance stainless steel with satin finish. 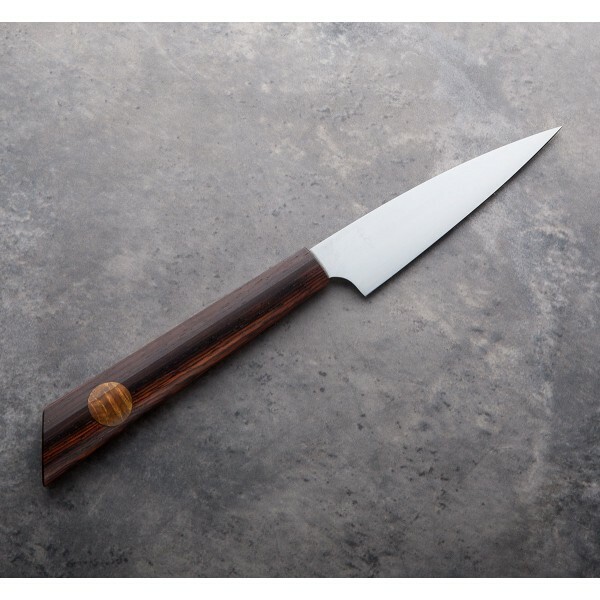 Old-grown cocobolo handle with Arkansas Chittim inlay.